Does your upcoming vacation require a rental car? If so, you’re likely looking for ways to ease the burden of this cost. While it’s not impossible to rent a car on vacation if you’re traveling on a budget, it will take a little bit of strategy to get the best deals out there. Check out these tips and feel good that you’ll be saving money without sacrificing fun. Have a carefree vacation, not a car-free one. As you probably know, everything is more expensive at the airport – including your car rental. An “airport tax” is added by any rental car vendor on or around the airport property, which can increase your costs by an additional 10 or 25% – on top of existing state and local taxes, that is. Instead, see if you can find rental car offices that are either on the way to your final destination or are an easy detour. Renting from off-airport offices can end up saving you hundreds of dollars. You may even be able to drop off your car at the airport office when you leave without an additional penalty. Rental car companies will often offer discounts for prepaid reservations, which can be tempting. However, when you’ve prepaid, you’re locked into that rental. Instead, reserve the rental that makes the most sense for you, and watch prices and offers between then and the time of your trip. 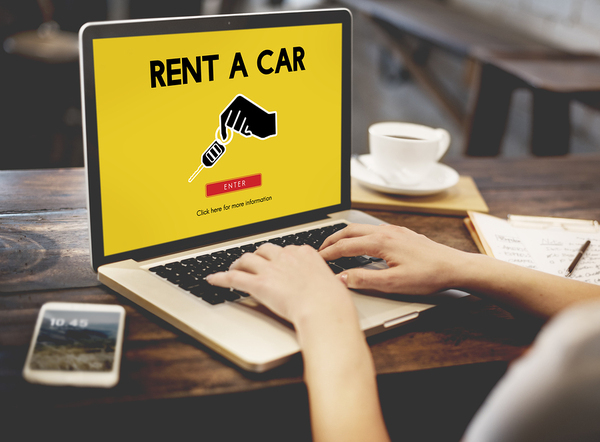 A site like AutoSlash will search for better deals based on your existing rental details, which means you can change your reservation without penalty for a better price car. The more time you spend getting familiar with rental car prices and standard offerings, the better place you are in to negotiate. See what the price differences are between reserving cars directly from the rental website and those from travel booking sites, and remember always to confirm that fees and additional charges are included in the estimate. Otherwise, you might find the cost is actually double when you go pick up the car. Know what to expect by comparison shopping for cars. If your travel times and dates are flexible, you can be strategic with your timing to score better deals. On the weekend, you can often find far lower rates, although this will depend on where you are traveling and when. You also may find that a weekly rental is – somewhat surprisingly – half the cost of a five-day rental, so consider stretching your vacation out to end up saving more. There are several ways to reduce your rental cost based on the car you choose. If you’re looking for something no-frills to get you from Point A to Point B, request the economy choice. You may even find that when you get to the rental counter that you can upgrade, depending on their inventory. Another trick to try is to tell the rental agent that you’ll take any car he or she needs to get in use. It may be small, or it may be a funky color, but you’ll likely get a discount – and a happy rental agent who may throw in some extras for free. Are you a member of AAA? You can score a rental car for a rock-bottom price and get a host of other benefits, such as a free car seat. Check out any membership perks that you have for additional discounts, but also get creative with searching for online coupons and deals. A deal site can keep you up to date on current promotions and give you exclusive access to savings and more. Stop worrying about vacation costs and focus on family fun. Sign up for savings and deals that everyone will enjoy.